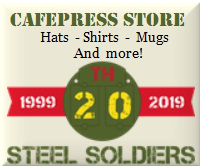 Welcome to the Steel Soldiers::Military Vehicles Supersite. Use this section to upload TM's that you've found. Please follow these rules because they will make the SS Forum more fun and efficient for all of us. If they are not followed, posts may be deleted. I'll be posting any updates I make to the main site here. This is also the place for suggestions for the main site. Thanks! Post requests for help here. Tips and Tricks for posting to the forum and other parts of the site. This special forum was created as a memorial to our notable members that have since passed on. Request a quote from our vendors here. A forum for vendors to advertise their items. Post suggestions, etc... for our Rally! Please share all of your military vehicle events information here! Post any military salvage yard locations or items found in them with prices here. Post up all of your stories and photos from your latest road-trip here! Easter first local show event. This is the place for any political discussions related to the military vehicle hobby. No party bashing or rude behavior, please! This is where the admins and mods can post the names of special members they want recognized. Request transportation needs here. Be sure to include where the item is and where it needs to go to. Also make sure you include time frame, as well as anything else that may be important. Here's the place to talk about your M54, M817, M123A1C, etc... the big boys! A forum to discuss modifications and major upgrades to the CUCV series. The 70's Dodge military truck. The 6x6 cargo truck that supplied our boys from Europe to the Pacific. A place to talk about the bigger brothers to the deuce. Based on the beefy Gladiator trucks. The MUTT. Front and rear independent suspension Jeep. Working on the M38 next. M561 and M792 variants. Get your Goat fix here! Conversations about the MTVR vehicle family. Post up your Family of Medium Tactical Vehicles Q&A here. Post pics and info on those lethal adaptations to current platforms. Here's the place to post your Q&A about all things armored! The fighting vehicle that took direct hits from Iraqi buses. This awesome armored vehicle was first tested in Viet-Nam and put to use starting in 1964. This is a good place to talk about Scwimmwagens, Kettenkrads, and now includes East German IFA vehicles. Finally a place for the Pinzies to have a voice! The place for all things related to the mighty Tatra trucks. A place for all other MV's not related to the US or others listed on the site. Post your F16 or Apache Q&A here! Military spec machines or military modified civilian machines are welcome here! A great resource for military radio related TM's and other information. This is the place to post polls about anything you like. If there is enough interest I can allow polls in each individual forum. 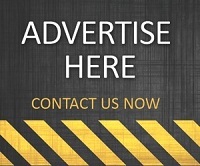 A link to see new advertisements in the classifieds. A free to a good home forum for parts/tools/exc. If you have something you wish to give away, here's the place to post it. This is NOT for sale items. No "free" if you buy this combos. And no "extra handling" fees. Classified ads for vehicles, ads must contain location and prices! Classifieds for Tools and Misc for sale. Ads require location and prices! Questions about Inspection/Preview of items. Qustions about picking up items. Post Suggestions to possibly consider. A place to commend or complain about a auction Employee in particular. Who is good... who is bad. Steel Soldiers chapter to cover countries outside the US and abroad. Post information and pictures of your projects here!